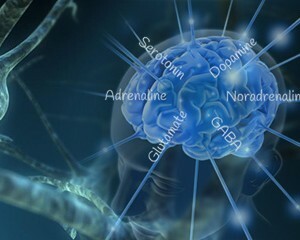 The Extensive Neurotransmitter Profile is a urine test that assesses levels of 6 neurotransmitters, including serotonin, GABA, dopamine, noradrenaline, adrenaline and glutamate. These neurotransmitters are the most researched in relation to their effect on mood disorders, anxiety, hormones, sleep, glucose/insulin balance, pain perception, appetite and cognitive function. Low or high levels of neurotransmitters are observed in various mental health disorders, such as low moods, anxiety, stress, attention-deficit hyperactivity disorder (ADHD), Parkinson’s disease and panic attacks. This test does not diagnose any of these conditions, however it helps your practitioner understand where the chemical imbalance may be and what nutritional support and diet adjustments can be provided to support and correct this imbalance. This test will benefit those who are experiencing unexplained alterations in mood, behavior and cognition. It is a very useful test to determine the exact altered neurotransmitter chemicals that may be a driving your condition. By identifying these changes, your practitioner is able to formulate an individualised natural treatment plan to bring the neurotransmitters back into balance. Book in today and let our Naturopaths bring your body back in to balance. Our clinic is located at 49 Chetwynd St, NorthMelbourne. You can make an appointment enquiry online, email us or phone us on (03) 9686 2566.